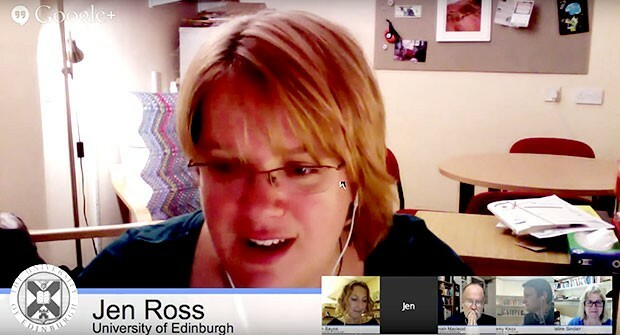 Jen Ross has a background in literature, but the University of Edinburgh lecturer was attracted to the field of digital education because it drew on her eclectic interests. “It’s a really exciting place to think about issues around language, authorship, communication and collaboration,” she says. Ross is the featured guest at this year’s edition of e.SCAPE, Concordia’s annual academic conference on education and technology. 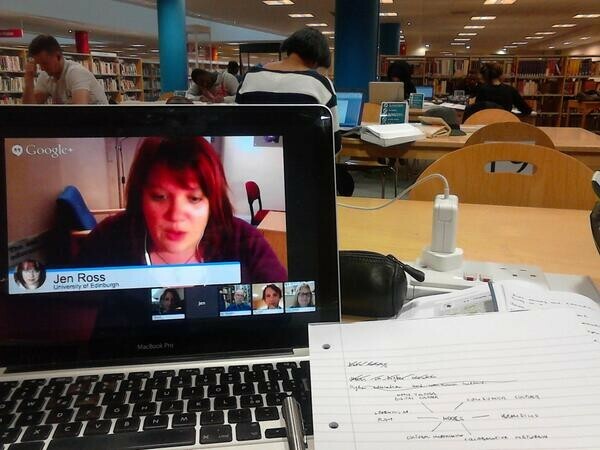 Fittingly, she’s presenting the keynote address live from Edinburgh via video conference on Wednesday, October 14. A large part of Ross’ talk will centre around the Manifesto for Teaching Online. 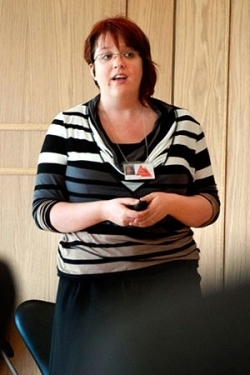 In 2011, she and her colleagues at the University of Edinburgh drafted the brief series of statements to articulate their position on digital learning and to spark discussion. “Our starting position has kind of been, ﻿‘What can we do in this space that we couldn't do in any other way?’ Not, ‘How do we take something that we've already done in some other format and turn it into an online course?’” Ross says. “It seems to me that good stuff happens when you start from that perspective, rather than the other way around,” she adds. Currently, Ross and her team are revising the manifesto to bring it more in line with new developments in the field, which she says are happening all the time. Some examples of fertile terrain for discussion she gives are: the use of algorithms and code to inform teaching practices, the advent of massive open online courses, or MOOCs, over the past few years, and how the materiality linked to online learning — computers, modems and network coverage — is unevenly distributed around the world. This year also marks the 10th anniversary of the University of Edinburgh’s Master of Science in Digital Education. Ross directed the program for three years, which has more than 200 students from all over the world enrolled at any given time. “It asks students and faculty to work together to think critically about issues to do with online distance learning, blended learning, technology in the classroom, and to just really probe at some of the things that the manifesto gets at,” Ross says. Also during her tenure at the University of Edinburgh, Ross co-founded the eLearning and Digital Cultures MOOC, which has had enrolment numbers of more than 75,000. Dealing with such a massive body of students was enlightening, Ross says. Her e.SCAPE presentation will be the first time Ross gives a major talk via video conference. She’s excited to see how it goes. After all, the presentation itself might serve as a good case study, even if she does have to trouble shoot. After her talk, Ross will open the floor to an interactive question and discussion period. The session will serve as a launch pad for a year-long discussion on pedagogy at Concordia, part of the university’s strategic directions initiative, says Catherine Bolton, vice-provost of Teaching and Learning. “You’ll have the chance to weigh in on what represents good teaching and learning at Concordia. So, please bring your ideas, anecdotes and your voice to this important conversation,” Bolton says. e.SCAPE takes place on Wednesday, October 14, from 11 a.m. to 12:30 p.m. in Room EV-2.260 of the Engineering, Computer Science and Visual Arts Integrated Complex (EV) on the Sir George Williams Campus (1515 Ste-Catherine W.), and in Room CC-101 of the Central Building on the Loyola Campus (7141 Sherbrooke W.). This event is free and no registration is required. If you can’t make it in person to either session, there are 20 licenses available so that you can participate online. First come, first served. Register to attend e.SCAPE online. Jen Ross will deliver her e.SCAPE presentation using Blue Jeans, a new videoconferencing service that’s now available to Concordians. The cloud-based software can accommodate up to 25 participants from around the world. And thanks to a licensing agreement with the university’s Instructional and Information Technology Services (IITS), it’s free. If you’d like to register for a videoconferencing session using Blue Jeans, requests can be made via the IITS Service Catalog. Find out more about how to use Blue Jeans videoconferencing at Concordia.